CVS is ramping up its efforts to hire people with disabilities with a slew of new mock stores designed to help train this traditionally-underemployed demographic. 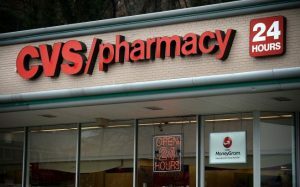 The pharmacy chain said it will open at least eight mock stores by spring. Each site features equipment characteristic of a typical CVS location. People with disabilities participate in classroom and hands-on training in both life and job-related skills, learning the tasks required for working in a CVS store or as a pharmacy technician. Those who complete the training program are eligible to apply for employment at CVS. CVS opened one of the mock stores this month at the Arkansas Career Training Institute in Hot Springs, Ark. and two others — located in Fishersville, Va. and Johnstown, Pa. — are already up and running. The first site opened in Virginia in 2016 and the company said 41 people have completed the training program and 11 are now on the CVS payroll. Additional mock stores are expected to open in Baltimore, Plainwell, Mich., Smyrna, Tenn., Warm Springs, Ga. and Thelma, Ky. by spring 2018. We have one in NYC at the Brooklyn Transition Center. How do we go about getting this program in California??? How do we go about getting this program in California?